Functioning as an elite marksman employed by a covert Agency, players are called to embark on a first-person campaign against an armed militia uprising across international borders. • An Immersive Virtual Reality Experience, with up to four uniquely designed, photorealistic environments to explore. • Realistic Weaponry. Each mission begins with one of four real-world guns, locked and loaded with special features. • Adaptive Enemy AI. Diverse enemy classes, well-concealed snipers, air/group assaults and traps behind enemy lines make every level a challenge. • An Easy Learning Curve. A Sniper Training Area keeps Sniper Rust VR fun to play, minus the nausea and dizziness associated with VR games. • An Action-packed Soundtrack of intense orchestral sounds for thrilling, edge-of-your-seat action sequences. 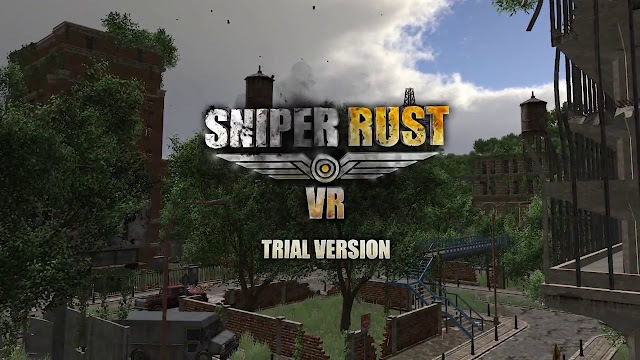 Sniper Rust VR is due for an 27th December 2017 release compatible with the Oculus Rift virtual reality system. Serving to gather user feedback as finishing touches to the full game are implemented, the demo meanwhile includes a singular game-play level with the rest of its features unlocked.